There’s a place to get a slice or a whole pie almost anywhere you look. I like to change up where I go, so I don’t overdo the same spot and even neighborhood. There’s an unlimited amount of places to go. 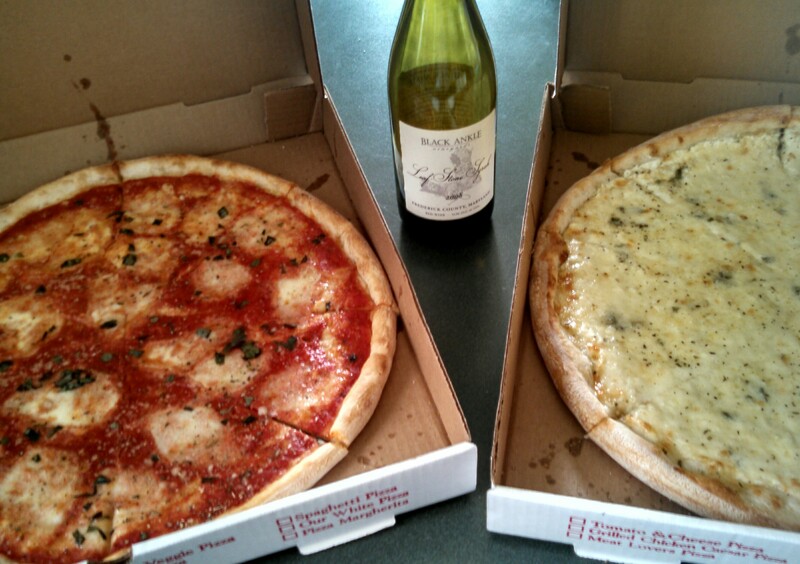 Variety is the spice of life, and pizza! It’s not just about the big city locales. The heavy hitters in Baltimore (and in other metropolitan areas) are coming. As a matter of fact, I wrote about an amazing place last week. However, l would be doing a disservice if I only talked about those. There’s treasure in the county. I posted about one recently. 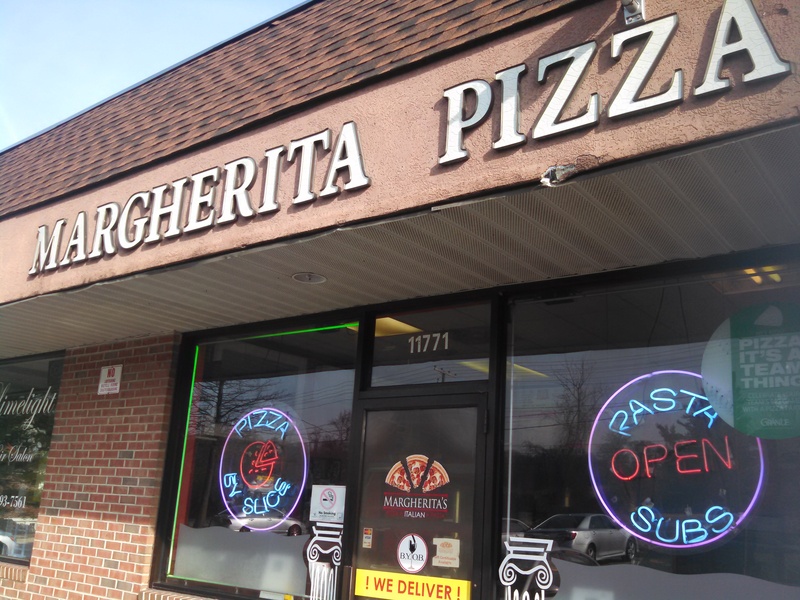 Today, I will be talking about Margherita’s of Kingsville, MD. And it’s damn good. Honestly, I didn’t know Kingsville was even a town, until a few weeks ago. And that’s my clumsiness. I assumed this part of Belair Rd. was an extension of Bel Air. 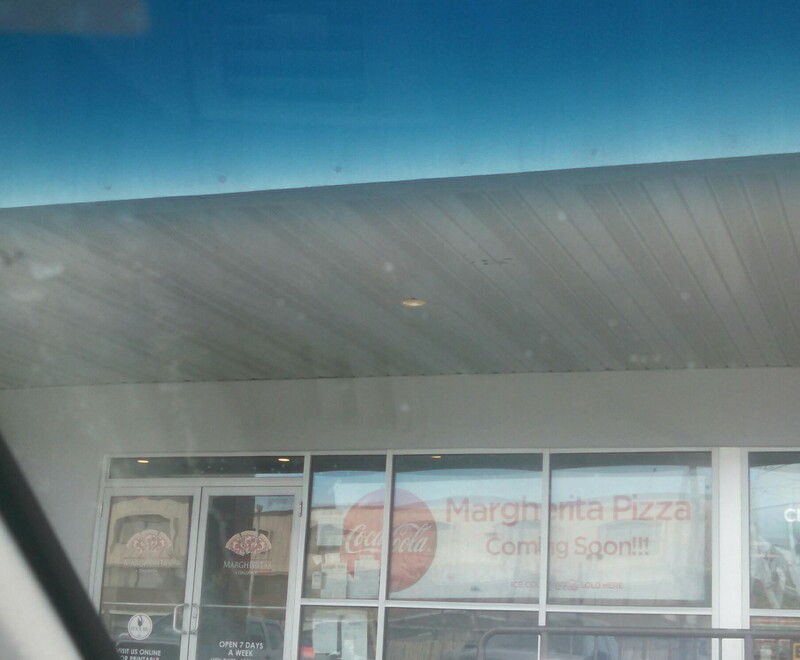 If you drive past the tiny strip mall, where this pizzeria is located, you will easily miss it. I’ve done it countless times. Fortunately, one day driving back home from errands, I stopped in and I’m glad I did. Their nestled in a convenient segue between Baltimore and Harford County. They do pizza by the slice. I recall, during my first visit, getting one cheese and a veggie, and both were wonderful. For this particular visit, I ordered two whole pies, for me and my friends! First up, it’s namesake, the Margherita is a very simple, yet delicious offering. Their homemade tomato sauce, mozzarella, and fresh basil tasted just something out of your family’s kitchen. And that’s a good thing. Next, their White Pie, happily titled ‘Our White Pizza’, was a joy to eat. This is a six ingredient bundle of joy. The mozzarella, ricotta, and parmesan cheeses merging with oregano, olive oil, and garlic, make this a hit. This could have not have come out any better. Amazing stuff. Every flavor was detected and got superior after each bite. For more information, on the wine in the photo above, you can click here. I noticed on their carry out box, of a location in Bel Air. I thought it was a misprint or a former establishment. But, they’re coming soon. And I was able to snag some pictures, that can be seen below. 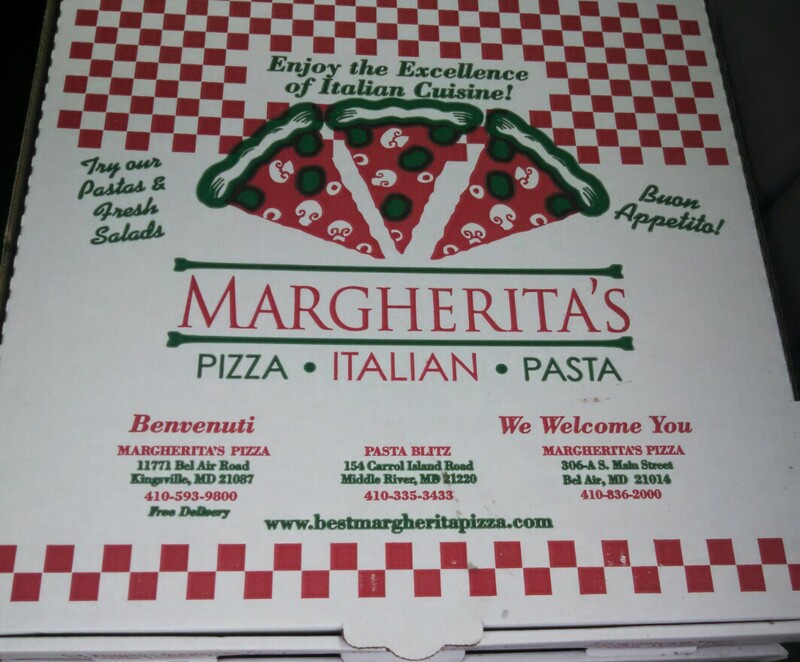 If you’re ever near the area or are feeling adventurous, I highly recommend Margherita’s. 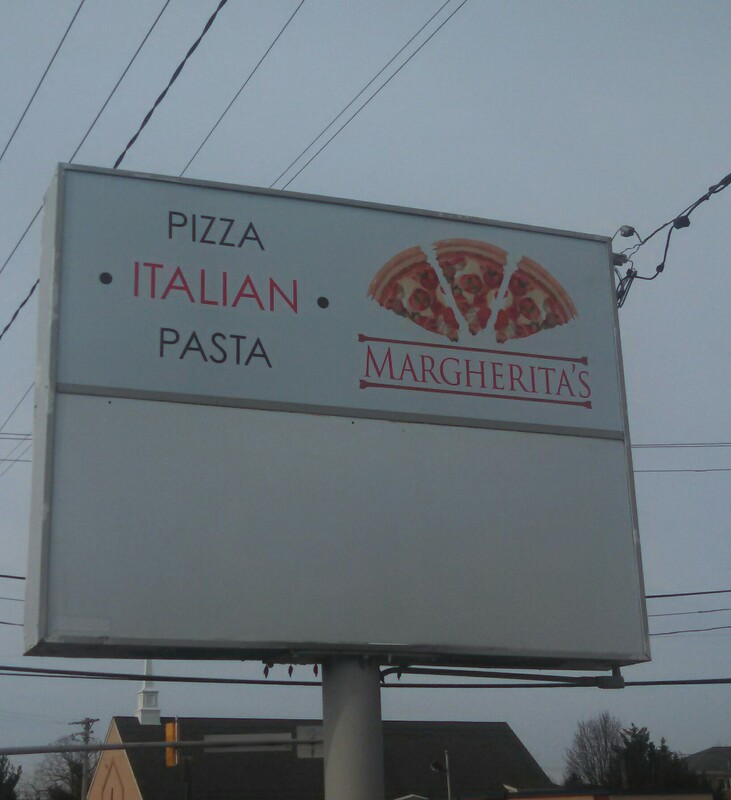 I have yet to stop by Pasta Blitz, which is their sister store, but can only imagine it’s equal in quality. And there’s the fun with writing about food or anything you might love. The choices are abundant and the sky’s the limit. With pizza, we eat it year round, so there will always be something to talk about. As the weather gets warmer, and more people are going out, the posts will reflect that. 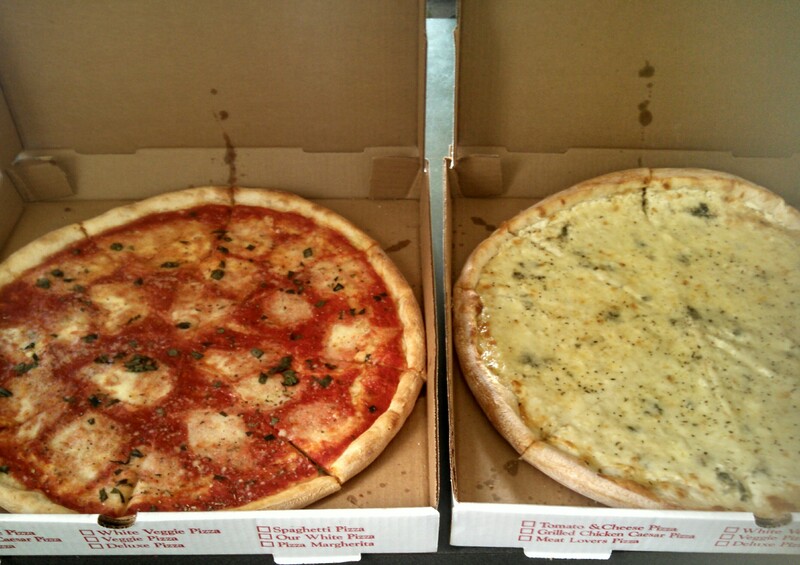 In the meantime, enjoy your weekend and enjoy some yummy pizza!